Harry Potter fans aren't likely to lose interest in discussions, theory and speculation over J.K. Rowling's magical series anytime soon, and today is evidence of that, as a theory about the Deathly Hallows has been making the rounds. It suggests that the three brothers featured in the story -- included in The Tales of Beedle the Bard -- represent three characters in the Harry Potter series. Voldemort, Snape and Harry. Dumbledore also factors into this. It looks like this discussion goes back to at least last year, but it's gained some traction today among Harry Potter fans, particularly as it relates to Dumbledore's connection with Death, so let's take a closer look at the big picture. Those who've read J.K. Rowling's The Tales of Beedle the Bard and/or Harry Potter and the Deathly Hallows know that the Tale of the Three Brothers tells the story of three wizards who evade death and are "rewarded" by Death himself, who offers each of them one gift of their choosing. The first brother wants a powerful wand, the second, a way to bring back the dead, and the third, a way to leave Death and not be followed by him. Respectively, they receive the unbeatable wand, the resurrection stone and the Cloak of Invisibility. And in the end, the first two brothers' gifts backfire, as the unbeatable wand isn't actually unbeatable. And the resurrection stone doesn't bring a person back to life as they were. Both brothers die. The third brother uses the cloak to hide from Death, lives a long life and eventually leaves this world as Death's equal. As a fable, it seems the moral of the story is that Death comes for us all sooner or later, and there's no sense trying to fight that. It's a lesson Voldemort rejected and Harry embraced. The discussed theory suggests that Voldemort represents the first brother, who sought the unbeatable wand (or ultimate power). Severus Snape represented the second brother, as he was driven by love and grief over Lily's death. And then there's the third brother, who may have been represented by Harry. Not only does he have the cloak, but he also proved willing to accept death when he thought the time had come. 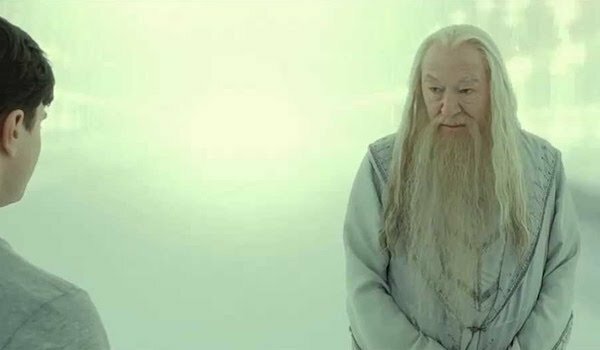 In the update to the theory, it's suggested that Dumbledore is Death, as he was the one waiting for Harry on the other side. The first brother, believed to be Antioch Peverell, is described in The Tales of Beedle the Bard to be a combative man. He wanted a wand who was worthy of a man who conquered death. The connection to Voldemort seems particularly strong here in that his own determination to "conquer death" eventually led to his own demise. For Antioch, it was using the wand to murder a foe, then bragging about it. He was murdered in his bed by someone who heard about the wand and wanted it for themselves. His determination to be the conquerer of death eventually led to his death. Voldemort faced a similar situation in his own efforts to conquer death, which led him to trying to kill Harry Potter, which inevitably led to his demise. So, I see the connection. 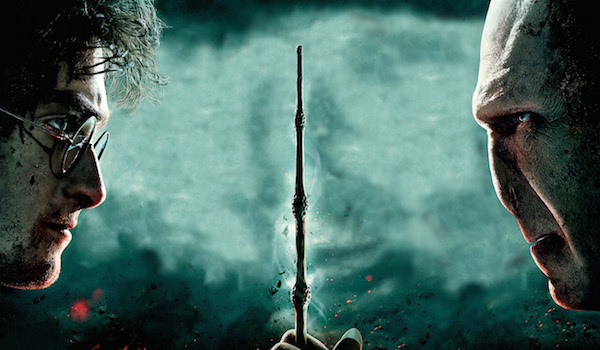 But if we're examining Voldemort and his connection to the first brother, I'm inclined to note the contrast between the Elder Wand and Voldemort's soul. In Dumbledore's essay, included in The Tales of Beedle the Bard, he discusses the nature of wands, and how they tend to absorb the expertise of those who use them. Most wands are destroyed after their owners die, however if the Elder Wand is passed down, it would therefore continue to absorb the magic and expertise of each of its owners, building up its strength (and potentially its lethalness) with each owner. The belief, by many, is that the Elder Wand has accumulated much more wisdom, strength and power than the average person. And factoring in the presumably hefty ambition of its owners, that makes sense. 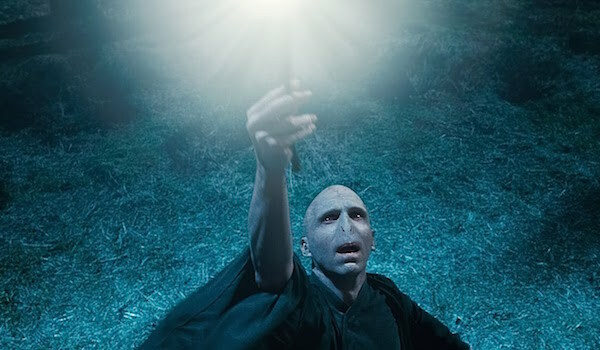 In that respect, Voldemort's soul could be seen as the opposite of the Elder Wand, in that it grew weaker and more damaged with every horcrux made. Though he strived to make himself unbeatable, committing numerous murders in an effort to create horcruxes to ensure his immortality, he was more effective in stripping himself of his own humanity. We get a glimpse of what's left of his soul when Harry is in King's Cross Station near the end of Deathly Hallows. Honestly, I'm conflicted about the comparison between Snape and Cadmus Peverell, the second brother. Cadmus sought to resurrect his fiancé, and when he did, she suffered because she didn't belong in the mortal world anymore. He went crazy and killed himself. The second brother is described as arrogant, and said to have wanted to humiliate death further by having a way to recall the dead. Snape wasn't the nicest guy, especially when it came to Harry, as he was often projecting his distaste for James onto Harry. But he wasn't really arrogant, nor did he seem like the type to want to humiliate anyone, except perhaps James when they were kids, and let's face it, it's not like James was the nicest to Snape. On the other hand, we could argue that Snape's efforts to protect Lily from death are at least somewhat similar to Cadmus' efforts to bring his fiancé back. And when he failed at that, Snape turned against Voldemort and actively worked to help Dumbledore in his efforts to bring the Dark Lord down. In that respect, maybe there's a loose comparison between Cadmus' love, grief, madness and eventual suicide, and Snape's love, grief, drastic turnaround and eventual death at the hands of Voldemort. But I'd argue strongly against Snape's death being considered or compared to suicide. Sacrifice is not the same thing. 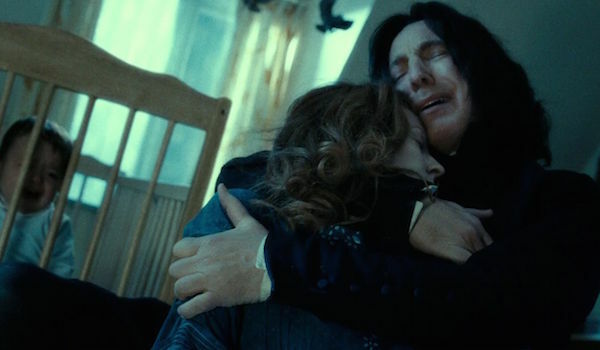 Both Snape and Cadmus are motivated by grief and love, so it does connect. And then there's Harry, who's compared to the third brother, believed to be Ingotus Peverell, which is fitting enough when we factor in Harry's inheritance of the Invisibility Cloak, and his distant relationship to Ingnotus. The third brother is also the youngest, and described as humble and wise. Those are adjectives that seem close enough to the Harry we came to know in the books, particularly the humble part. But more to this point is that Harry did accept death when he thought the time had come, much in the way the third brother accepted his own death. 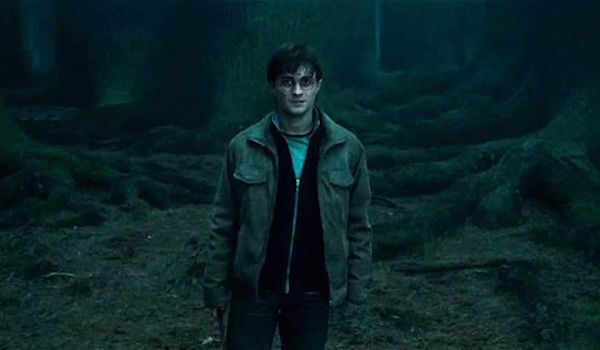 Harry walked willingly into the forest and removed his cloak, prepared to face Voldemort, knowing that he had to die in order for Voldemort to be destroyed. Finally, there's Dumbledore, who's theorized to represent Death, as he's the one waiting for Harry in King's Cross, greeting him like an old friend and prepared to depart life with Harry as equals. Death is described as cunning, and demonstrates anger in The Tale of Three Brothers. Dumbledore is probably better described as wise than cunning, and though we've seen his angry side, he tends to be more playful and mild-mannered than spiteful. That said, looking at Death's actions in The Tale of Three Brothers, perhaps there's further comparison to be made, when we consider that Dumbledore was involved in the events surrounding Harry's first brush with death as a baby. Harry evaded Voldemort's attempt to murder him, and from there, Dumbledore hung back and waited, involving himself in Harry's life later and essentially steering him back toward death throughout the seven books. His motives weren't sinister, but they were purposeful, which could be said about Death as well. And, after all, who was it that gave Harry the cloak in Harry Potter and the Sorcerer's Stone? The more I think about it, the more I can appreciate this connection. But I still think Dumbledore may be too big a character -- and too much a father-figure to Harry -- to be directly compared to Death. And Death may be too big a presence in these books to be tied so easily with any one character. But for the purpose of this theory, and the connection between the fable and the Harry Potter characters, it definitely fits. Big points to HarryJXMesPotter for presenting that idea. It's certainly given us a lot to ponder. If we're making overall comparisons between the Deathly Hallows and Harry Potter characters, it all seems to come around to Harry and Voldemort. Both characters were living and dying demonstrations of the moral lesson of Beedle the Bard's tale. Harry survived by accepting death, and was rewarded with a full life. Voldemort, on the other hand, spent (or squandered) most of his life trying to evade death and died a shriveled up ball of wasted soul because of it.